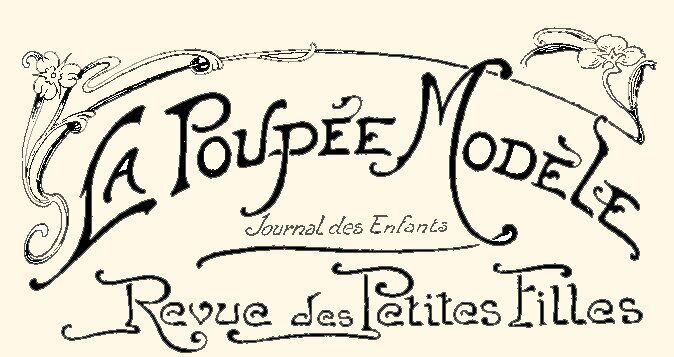 All Amateur Doll collectors have heard of the newspaper "La Poupee Modele " which launched the doll called Pocket Doll or Mignonette. This charming newspaper, apparently obsolete today is still highly prized by dolls' friends and is trading at premium prices. 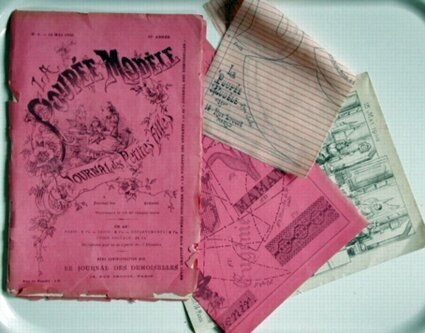 A copy of the Journal and its main appendices: pattern, fabric, embroidery. Opposite, one of the appendices from the site of "Mimie Gilles", which you will find the web address below. Several reasons for this. 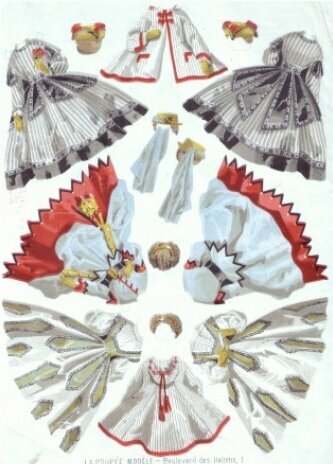 At first you say the specialists, the famous schedules consisted of patterns and fabric to dress the doll, embroidery, shows very fine building in light cardboard, a large number of divisions, in short many delicious supplements which contributed greatly to the interest of the newspaper. It also included the first few years at least, six superb color prints . Some often missing in the copies that can currently find because they have certainly been frames decorate room of girls. I am fortunate to have the first two bound copies of the first two years of publication, 1863-1864, 1864-1865 This begins with the month of November and will then, for each volume until October inclusive. The numbers, monthly and full of charm, appear on the 15th of each month. But all that you have already discovered in the beautiful book that Samy Odin and Matilde Heritier spent precisely Mignonette. 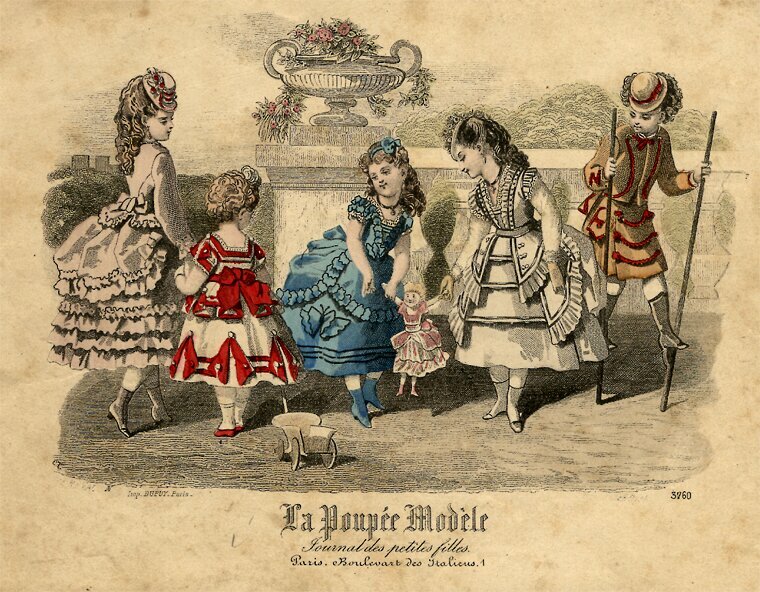 My purpose today is to discover a wealth of additional annexes, which are discussed because it is less, or the dress of the doll, or sewing, embroidery or various but small more than the paper sent to its subscribers. And there were a number that i keep my best, certainly does not possesse all. 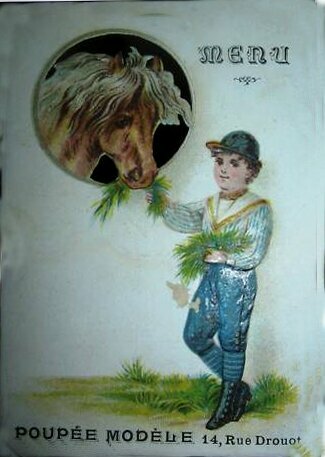 First postcards slightly unbleached, printed in black on the occasion of celebrations chimed, including Christmas and Easter but also in other circontances. 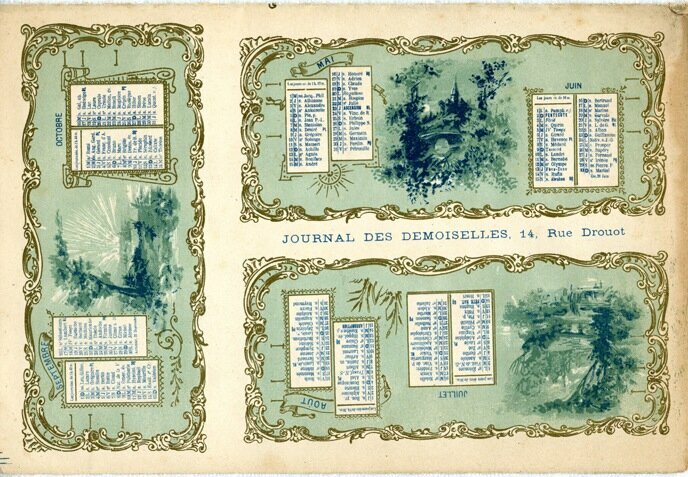 Apart from these cards, there was also the " Carnet de Chiffonnette ". I have two, of different colors. Each contains thirty questions, the same in both books, wise questions, of course, that put a real examination of conscience for girls who have in their hands: "What is your greatest flaw? "or" What do you use your savings? ". Or, in the spirit of the time course, "Do you respond well to the catechism?" Something rare is probably what the Poupée Modèle called "Praise for the New Year. The one I have is a supplement to the journal of 15 December 1902 and entitled "Punch". It is a musical score, in treble clef, allegretto course, with music and lyrics so "Come Punch, Sing your refrain, tra-la-la (3 times) In noisy Proud mockingly" etc. .. 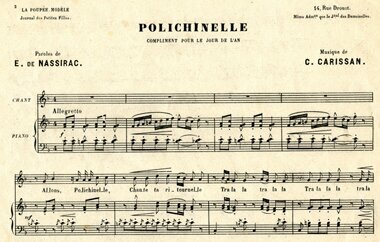 The music is .. C. Carissan and words of E. of Nassirac. This is an edition called "The Italian format" it was not possible to incorporate in hardcover journal. So that eventually, these nice compliments music had the same format as the newspaper itself and were integrated into them without problems. 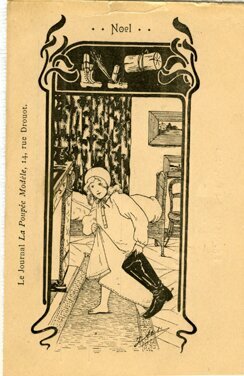 Thus, for example, "The Revolt of the dolls" Supplement December 15, 1904, then words and music of George O'Kell. 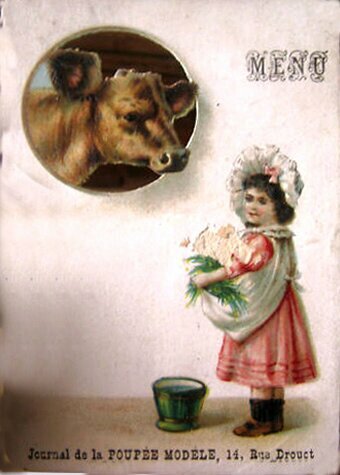 There were those little calendars that have now virtually disappeared and were available in many stores to customers or subscribers to newspapers whose doll model. Small, charming and friendly, he did not resist the little hands just given their narrow dimension, which are certainly much more. 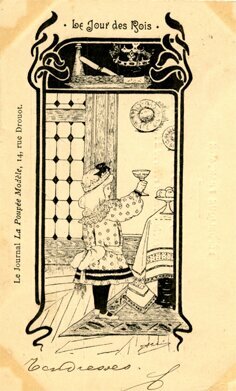 I have one, more of the Journal des Demoiselles, the same publisher, which dates from 1895 quite delicious. For cons, recently, I could get two cutting boards invitations for girls wishing to invite their friends. Per Page Six, they served to invite a representative part of "chinese shadow". One is a supplement to the journal of 15 October 1910, the other a newspaper supplement number 11 of 15 October the following year, 1911. 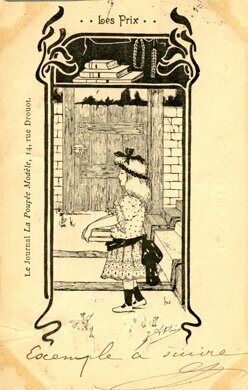 Among the "extras" offered to small subscribers also included reductions (6.5 cm X 9.5 cm), an issue of the Journal of the Dolls. 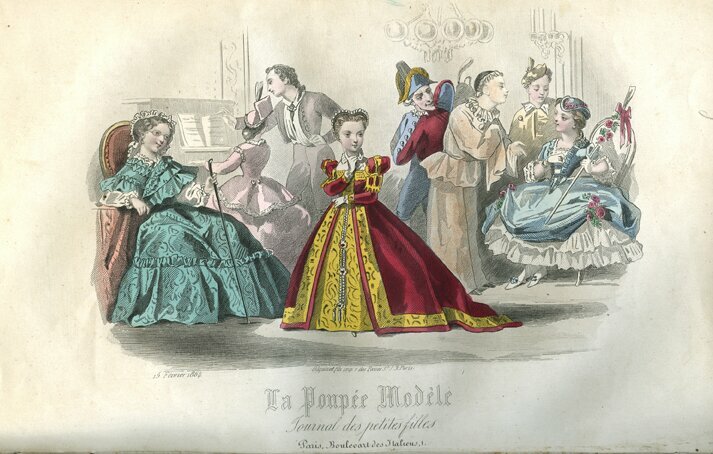 With amusement that we note in the Journal of the Dolls May 15, 1863 is given information on a dress ...... Bleuette. Of course it is not the puppet of the Semaine de Suzette. But 42 years before so it was already mentioned Bleuette! and that little was known name ...! 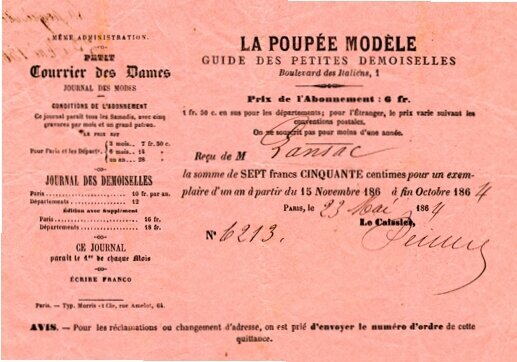 These reductions are the Journal format for the above du15 May 1865 of a facsimile included in the first issue of "Cahiers Museum" Museum of the doll Paris, dedicated a doll Rohmer. 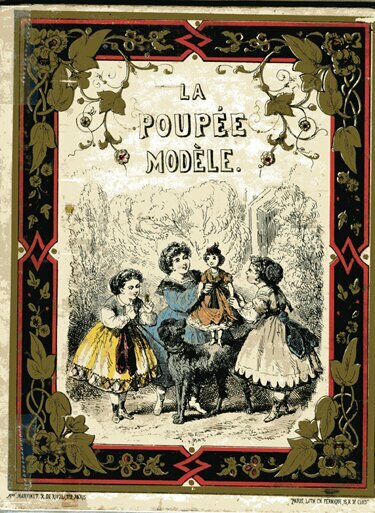 That of 15 November 1863 (probably the first rnuméro Journal des Poupées) is borrowed from the beautiful site of "Mimie" Fashion Women during the Second Empire "
Finally, perhaps the anecdote? but impossible to know, I have a book of good size (22cm x 27.5 cm), dating from a dedication interior, 1860 (? 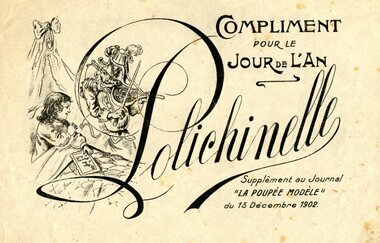 handwriting), styling as you can see below, "La Poupée Modèle " ( The Doll Model ). This book contains no less than 17 lithographs superb black and white by Ch.Fernique, 15 Avenue de Clichy and was published by the Martinet House, Rue de Rivoli 172, Paris. Is there a connection between this book rare and the release of two years which followed the paper with the same name? If a visitor Poupendol knows the answer, we will be happy to share it! These extras, little things, were clearly made to encourage girls to write, reflect, try out the music played or sung. Understandably, the success of this newspaper with families, children, and generations later, with collectors ........ It was at that time, a small preppy newspaper " bon chic bon genre " ( preppy or Òsloaney ) that has everything lasted well over fifty years, but the past years were not very successful ..